"Once Upon a Time's" journey into the dark recesses of Neverland has gotten pretty scary already, what with an evil Peter Pan running around. Now it's about to get a whole lot creepier: ABC has confirmed exclusively to Rolling Stone that rocker Marilyn Manson will be joining the cast of the show in November. Manson will voice Shadow, a character whose voice will give life to the very essence of Neverland. "We've always been enormous fans of Marilyn Manson," show creators and executive producers Eddy Kitsis and Adam Horowitz told Rolling Stone. "We wanted to cast someone with the vocal ability to make our skin crawl." This season on "Once Upon a Time" follows Emma, Rumpelstiltskin, Regina, Captain Hook and the rest of the Fairytale Avengers in Neverland as they look for Henry while battling the evil Peter Pan. The Shadow has appeared a few times already this season, and he's not quite the mischievous, fun-loving character who appeared in the classic Peter Pan tales. This version of Shadow is more interested in kidnapping and soul-stealing – and with Manson's voice added to the mix, he should become a skin-crawling part of Neverland. 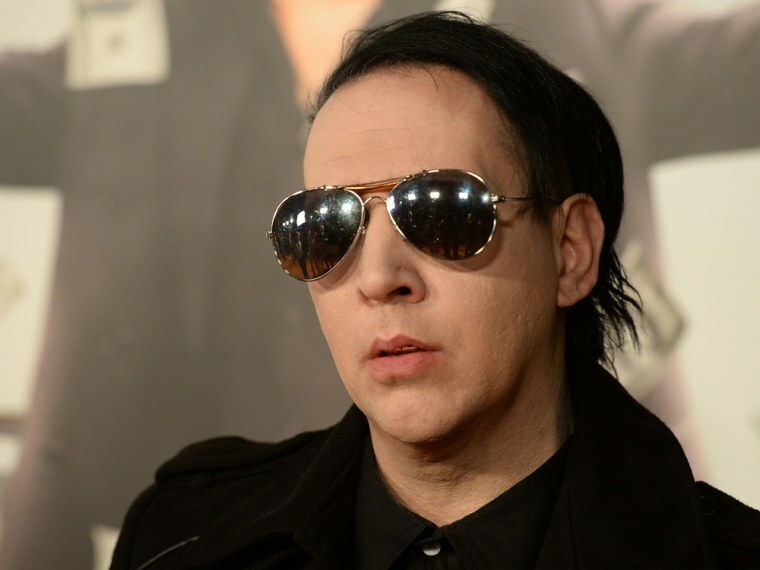 Manson's most recent album, "Born Villain," was released last year.